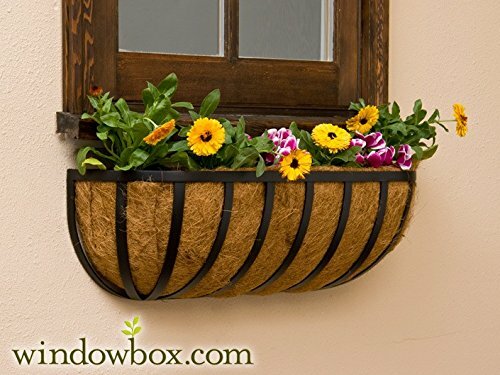 The XL English Garden Coir Lined Window Basket is both deeper and wider than basic English Garden Window Basket. In keeping with that tradition, we modified the dimensions to fit the warmer coastal climate of the south and made the beds deeper and larger to retain moisture longer. The The XL English Garden Coir Lined Window Baskets are 10" High and 9.5" deep and come complete with a natural preformed coconut liner. Made from durable wrought iron, powder coated black. Comes with extra thick coconut coir liner.